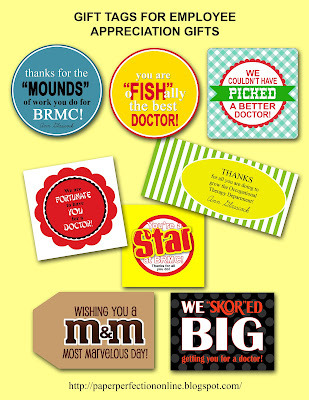 I have a hospital and another client that works with several clinics who both wanted gift ideas for employee appreciation. Here are a few tags that I designed to go with fun edible items like m&ms, Skor Candy Bars, Fruit, Swedish Fish, Goldfish Crackers, Mounds Candy Bar, Fortune Cookies, Starburst Candy, Plant and Seed Packets. 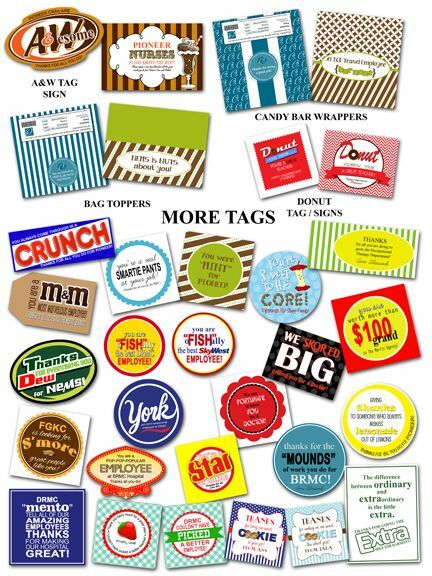 If you are needing fun tags, bag toppers or candy bar wrappers for employees, teachers, students or even your own children contact Paper Perfection at jtanddolly@yahoo.com for pricing and details.